You’ve heard it all before, right? A B2B lead generation company whispers sweet nothings in your ear, promising to deliver high-quality leads from international markets right into your lap using techniques such as blah, blah… telemarketing, blah, blah… email shots or blah, blah… overseas agents. Your business has been there, done it and got the t-shirt, but got nothing that even came close to quality leads on international fronts, wasting plenty of your time, money and valuable resources, chasing leads in order to boost international sales. Firstly, let’s reassure you… you’re not the first, and you certainly won’t be the last, to venture down a path that ultimately leads [pun intended] to nothing. 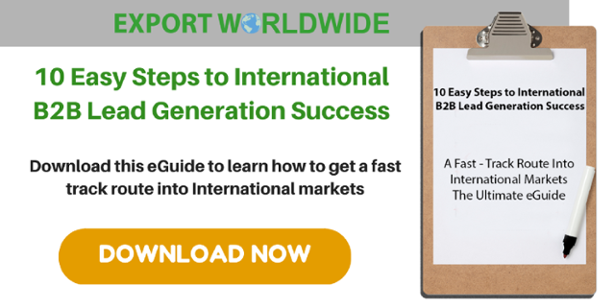 Secondly, you’re not alone in your struggle to generate B2B leads in international markets. It’s a challenge faced by many businesses, especially among the SME community. 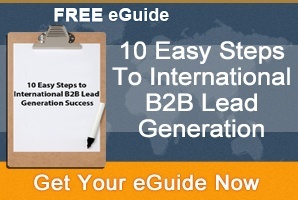 To become an international B2B lead generator requires strategic planning. Step 1… Build an international version of your website. Your website can give you leverage for generating leads in international markets. The idea is that you present your products and/or services in native languages and direct visitors to fill in contact forms in their native language, encourage them to download content or have them call local telephone numbers and speak to mother-tongue company representatives. You can develop a website to target an international territory in 24 hours or less and it’s a quick win in terms of generating leads in overseas markets. How is it a quick win? Your SEO gets a boost and your online ranking increases. Almost instantly, you’re driving traffic to your site and your pool of potential leads grows. Developing an international website is just a drop in the ocean compared to how an online lead generator tool can help you. 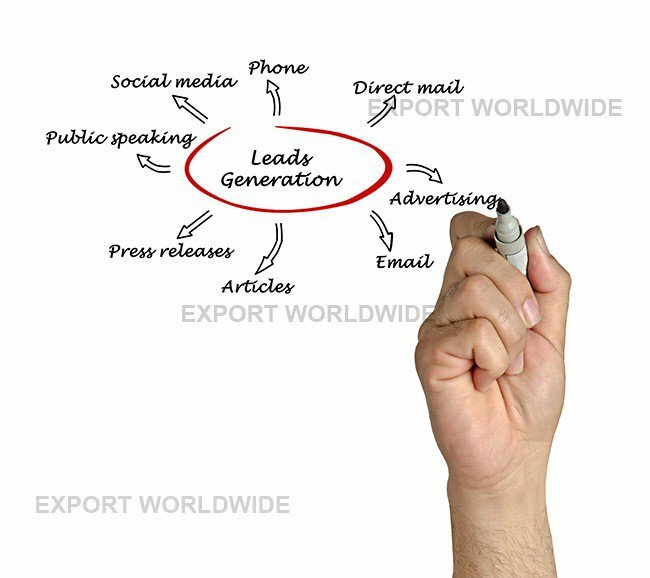 Uploading products and/or services onto an online channel that’s equipped to generate export sales leads is another step towards becoming an international B2B lead generation company in your own right. 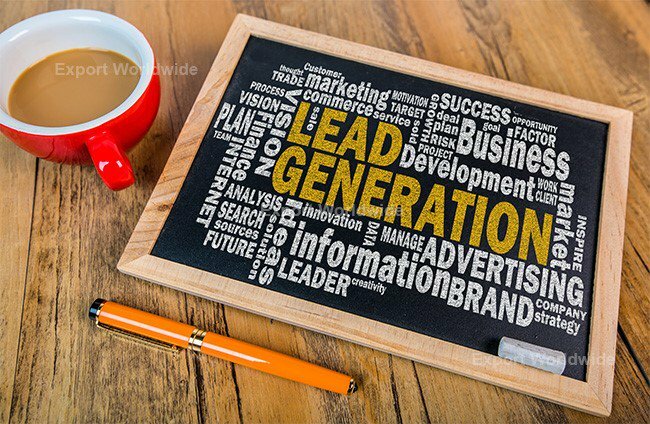 The value to your business of using an online lead generation service is that the pressure to generate quality leads doesn’t rest solely with your website, plus they reduce the risk of marketing to international audiences. Much like B2C businesses use online channels such as eBay or Amazon to sell products, partnering with a web-based B2B lead generation tool that’s geared to sell internationally gives your company another channel on which to market fast and effectively. Again, it will boost your SEO and online ranking, while adding to your lead generation arsenal. 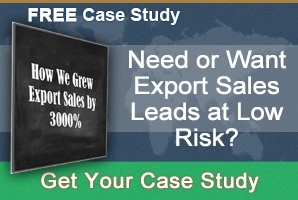 Export Worldwide gives companies another channel for generating international leads. Using Export Worldwide as an example, you can upload an unlimited number of products and services, selecting certain keywords to best promote your products or services online, and machine translate them into 20 languages targeting 84% of world trade. By doing this, you can quickly identify where quality leads are coming from for your products and services. That way, you can dismiss those territories that are irrelevant and concentrate on those markets where it will cost you less to generate leads. 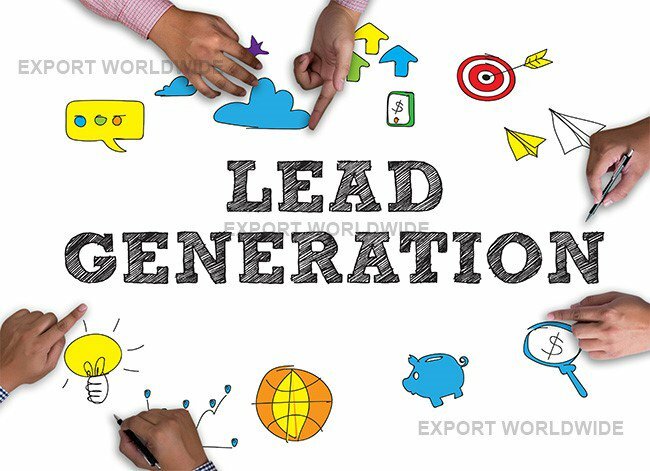 What’s more, a combination of your own international website(s) and using an online lead generation service means your generating B2B leads more naturally.